What happens when the post is serious? Which I am, just so you know. But once in a while... a serious tone strikes my mood and I am compelled to post. For instance, this next Monday's post will be a little insight into the real me and some of the things that I struggle with on a daily basis. And for real-ski's... there's not a lot of lightheartedness in it. So, as a reader, what do you expect when you come to this blog? Because if it's a whole-lotta Aunie, then by golly, that's what you're going to get. OH P.S.> Will you vote for me, please? Log in with FB to vote! 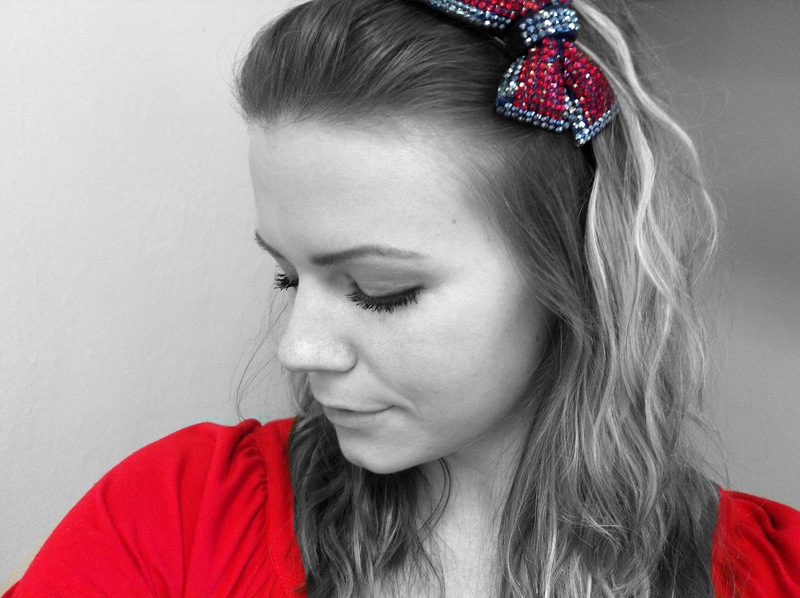 I love the cute hair accessory and the way you've made the red stand out. Hello! I just saw via Ly's blog that you won my sliced seashell necklace giveaway, so I wanted to stop by and see what your blog is all about--it's great! Very cute and very me ; ] And just like *that* you have a new follower! Thanks so much for entering, and congrats! There's nothing wrong with serious! A person can definitely be both sassy and serious. If it's how you feel, and it's authentic, then good! Write it! I can't wait for your Monday post now. My favourite bloggers are the ones that post the serious stuff. I like the fun. The wit. The humour. But I also like to know that peeps are not that peppy and spunky and freakin' hilarious All.The.Time. Sometime it's important to get real. I am looking forward to reading your post. I'm stoked for the serious-ness! Not all of us can be saucy all the time, we are all human. bring it on girl! Beautiful picture!! And hey, by all means, be Aunie all the way! and girl...I already voted for you;) I was the 9th person I think..